Ideas to Consider When Designing a Minimalist Bathroom | Homesthetics - Inspiring ideas for your home. The bathroom collects things faster than any other places in a home. Empty shampoo bottles, toothbrushes tossed in a cup beside the sink, and face cream and hair products at the edge of the tub are just some of the things that keep a bathroom from being tidy, spacious, and welcoming. We all wish for a bathroom with a gleaming-white sink, errant towel in sight, clean and simple surfaces and free of unused products or toiletries—well, this is doable. 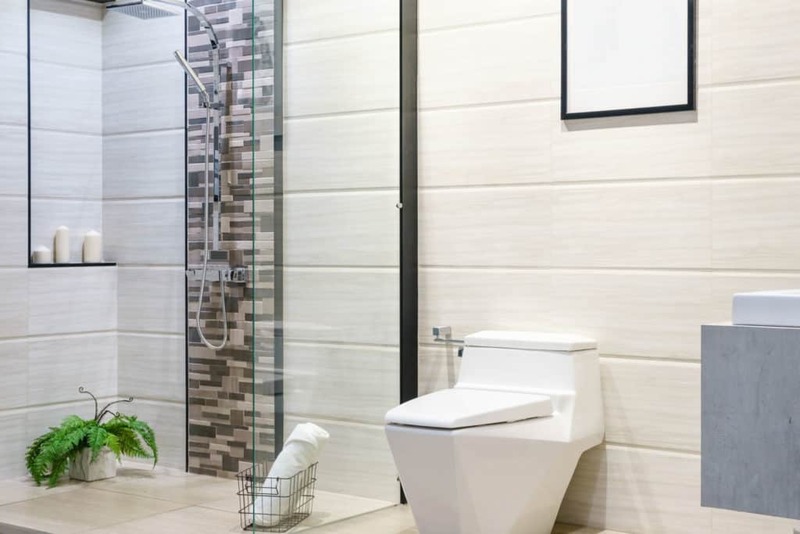 If you can’t stand the sight of clutter every time you walk into your bathroom, then its high time you convert your bathroom into a minimalist environment. This is achieved if your bathroom contains only what is necessary and no more. 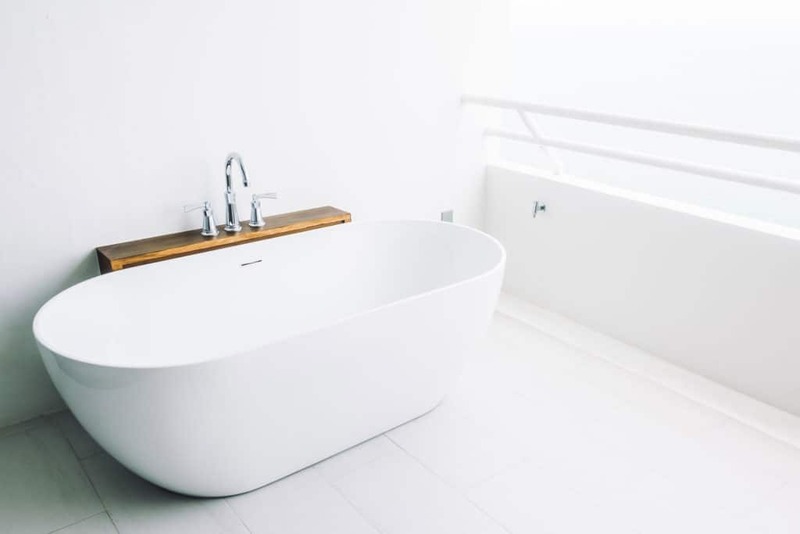 According to architect Noah Walker, a minimalist bathroom should be painted with neutral colors such as white, cream, earth-tones and grey on the walls, paired with black countertops and other neutral tones throughout the space. This keeps the bathroom feeling open and bright even in absence of windows. If you love minimalism, clutter is your worst nightmare, and you should do whatever it takes to ensure your bathroom is clutter-free. This can be achieved by foiling the urge to throw a towel or clothes on the floor when taking a shower, ensuring there is no excessive décor in the room, and making sure there are no toothbrushes across the counte. Oak Bathroom Vanities offer the best minimalism decor. This would leave your bathroom aesthetically pleasing and looking simple without sacrificing function. Having a clean, tidy, and spacious bathroom is everyone’s wish. 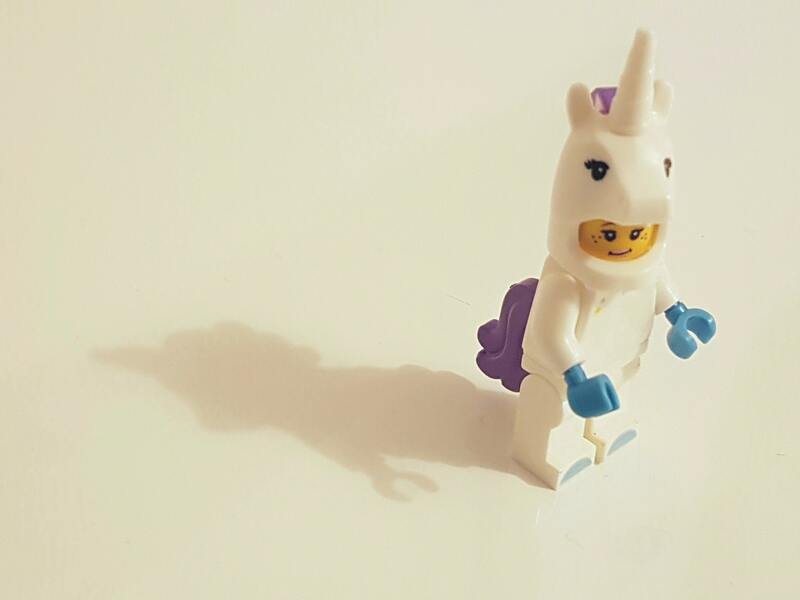 Keeping the empty space free is vital in achieving minimalism; space should be used only when really needed. Free space makes your bathroom look clean, airy, and inviting. You should ensure that anything you bring into your bathroom is functional, effective, and beautiful. 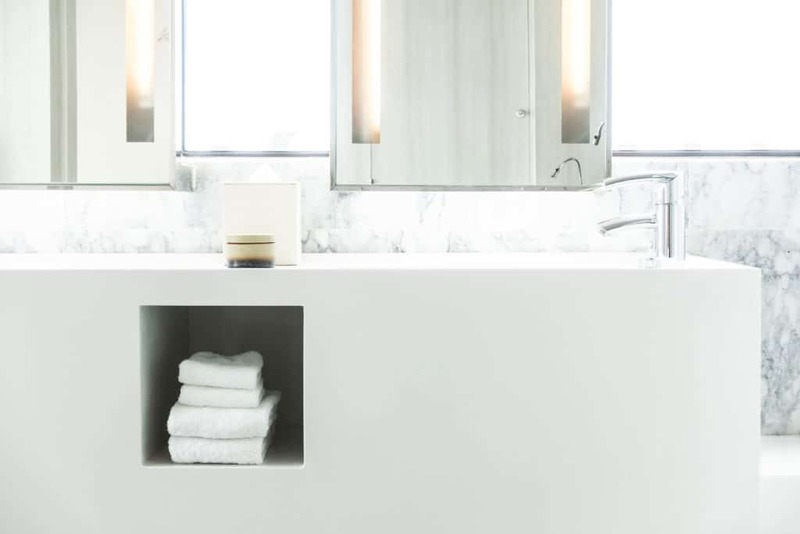 In a minimalist bathroom, there is simply no room for things that don’t function or serve their purpose. Look in https://www.bathroomsandmorestore.co.uk/ bathroom furniture as every single item in your bathroom should have an architectural touch and design. A minimalist bathroom should not be much decorated. However, a personal touch, for instance, a single architectural looking flower or wood is tolerable. Just don’t overdo things to achieve a truly minimalist feel. 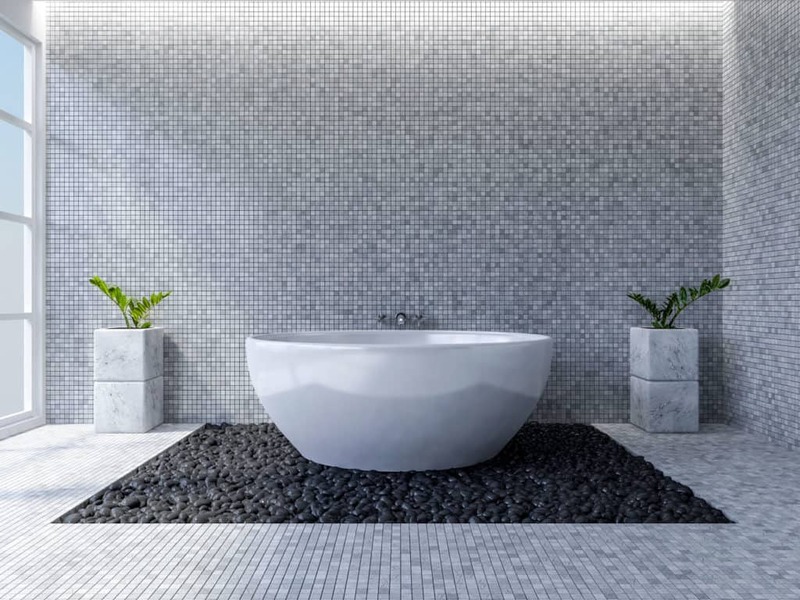 When designing a minimalist bathroom, you should consider having freestanding baths. It is a simple and aesthetically pleasing bath that comes with simplicity, the sole purpose of a minimalist bathroom. Freestanding baths don’t take up too much space, and they usually blend well into your bathroom. Click here to explore other options. 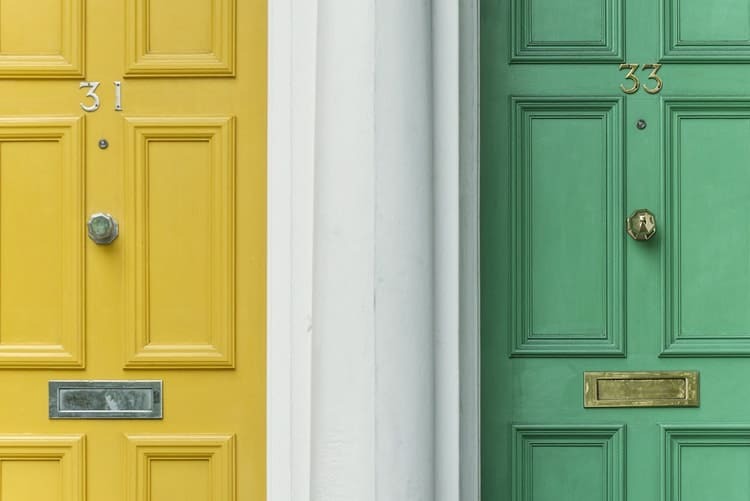 There are a lot of alternatives you can choose that still promote the kind of simplicity and minimalism you long for. 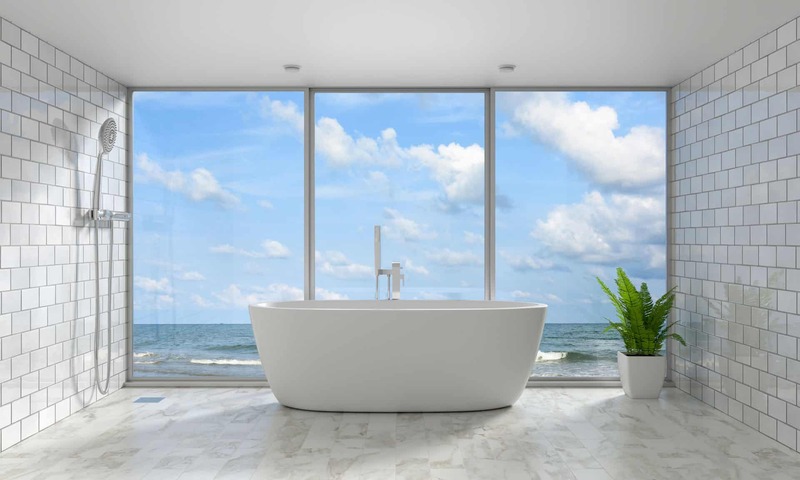 If you follow the tips above on how to design a minimalist bathroom, you can ultimately transform your bathroom into the most luxurious, calming, and welcoming room in your home.